Many overseas property agents could will and should be excited by a new event announced this week. 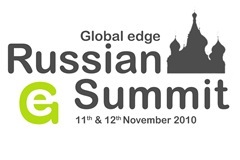 Global Edge have partnered with AiGroup — the Russian media company behind Russia’s biggest overseas property portal (1-property.ru) — to set up and host Russian Summit, a chance for the world’s overseas property agents to learn about the Russian market, and importantly to gain contacts that will refer business in a mutually beneficial arrangement. It could well become known as an important event for the industry. The collapse of British demand for overseas property crippled many markets, not least Dubai, Cyprus and of course Spain. The latter split into regions gives even more locations that felt the severe pain of the British-buyer exodus. Even now demand from British buyers is at nowhere near the same levels as seen in the run up to the 2008 crash, and of the overseas property markets that are leading the recovery, Russian buyers is a common phrase that we are hearing. Of course Russian buyers are no new phenomenon. They became a big and growingly important market in the overseas property world towards the latter part of 2007 and into 2008. At the time many of the larger UK based overseas property agents launched Russian language websites, some backed by Russian speaking telesales operatives. We also saw the industry magazine Overseas Property Professional launch a division specifically aimed at the growing Russian market. In fact it was this growth that undoubtedly spurred the launch of the aforementioned 1-property.ru at around the same time. As this rolled into 2008, when the American housing and mortgage crash had crossed the Atlantic and started having an effect on British buyer numbers, there were many reports suggesting that Russian buyers could replace them and keep the overseas property industry rolling on with barely a scratch. It was expected at the time that the Russian economy would continue to grow strongly. As most of us know, this did not pan out. The Russian economy took a hard hit from the international recession, and the Russian’s wealthy from the stock market, among the biggest overseas property buyers were among the worst affected. A prime example was the Villa Leopolda story: Russian millionaire Mikhail Prokhorov paid a 525,000 USD deposit in July 2008 after having his offer of $525 million accepted. But when it came time to pay the balance and complete the sale in December, Prokhorov pulled out. He subsequently lost his deposit in a legal battle. However, the drop in Russian buyers was more to do with a drop in confidence than wealth. With practically the entire world falling into the worst recession since World War II, only lifestyle buyers and the super rich were buying. Now that there is growing confidence of a bottom in many places, and the Russian economy is rebounding strongly, Russian buyers are back at the forefront of overseas property. For that reason, the Russian Summit event to be held at the World Trade Centre in Moscow on 11 & 12November could be an important one for the overseas property industry going forward.